He started off as an avid House Music listener in 1987, first introduced to the genre by the Minnea- polis-based urban radio station KMOJ. 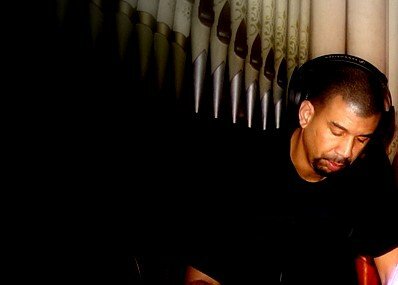 Moore quickly found and became affiliated with others who were addicted to the Deep House sound throughout the 1990s. But simply being a listener wasn’t enough. He moved on to become a DJ in 2001. He's played many different styles of DJ sets at many European venues including HAFEN 2, Fisk &amp, Vilt, Diller, Sanatorium 23, Kristina Records Dalston and Berghain Kantine. By 2003 he had moved from DJ to producer, becoming involved in various Deep House projects with friends, including the Sound Principle projects of 2004 and 2005. Finally, the decision to jumpstart the Altered Moods Recordings label occurred in late 2004. With AMR, he slowly began to weave his ideas about music into reality, which he does to this day. It is his intent to push musical boundaries and try new things, while sticking to his Deep House roots. Location: Hayward, CA, United States.